Today we're going to look at a book based on the Children's Catechism. 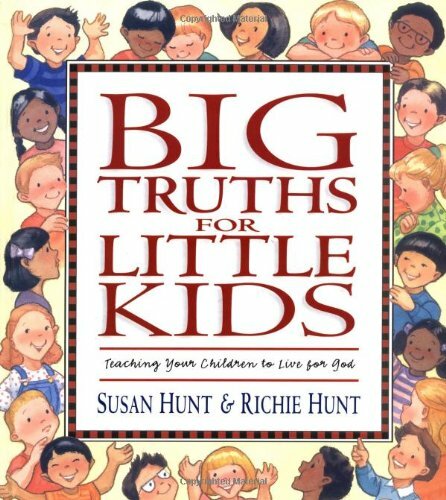 Big Truths for Little Kids: Teaching Your Children to Live for God is written by Susan Hunt and her son Richie Hunt. Does it contain pictures of Jesus? : No. 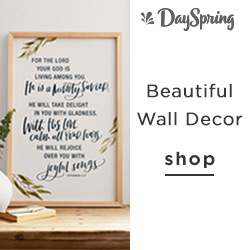 I think if you're looking for ways to incorporate the catechism into your home, this is a must have for your book shelf. If your kids are anything like mine, they always ask for one more book. So having theologically rich books written at their level is extremely helpful. 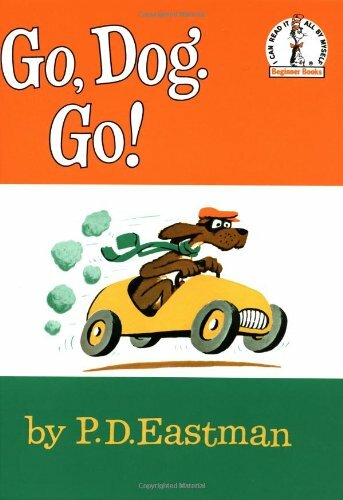 There are many times where I think to myself, if I have to read Go, Dog, Go! one more time I might just completely lose it. And so being able to grab a book like this, that is teaching great stuff to my kids is a true win-win. I get to teach them something important and spend time with them reading. Big Truths for Little Kids is 160 pages and follows the familiar siblings (who are also used in the Great Commission Publication curriculum and other books) of Caleb and Cassie through some pretty normal kid experiences in 36 stories. Each story goes along with a few catechism questions (covered in order) so that the content of the story pairs well with the questions. The stories themselves are two to three pages and have one or two black and white illustrations. After each story are a few comprehension and application questions which are appropriate elementary age kids but also can work with preschoolers. There is also a prayer prompt and Bible verse, which would make this book great for an easy family devotional resource. The book as a whole is helpful and feels very true to life. There are stories where the parents sin by snapping at their kids and ask for forgiveness. In other stories the kids are just grumpy or not being kind to other kids at church and work through those issues with help from their parents. These are good examples as a mom reading these stories of some things I can say to my kids when the same issues come up. A few portions may feel a bit too perfect as you read them (similar to perhaps the cheesy characters in Caillou - except as Christians) but I think especially if you have kids who are growing up in the church, with the catechism, it's really just showing a good moment in their lives that they have too. Even if they don't mess up terribly in one story, there are enough other stories where they are sinful and talk about how they need Jesus's work for them. This is the only children's book I've seen that incorporates the Children's Catechism. It's validating to my kids to see one other place where the questions are seen as important and relating to some very specific situations in their lives. It is very obvious that the authors have a heart for the catechism and write this book out of love for future generations. Am I missing any other books out there that also use the Children's Catechism? Let me know in the comments! Be sure to check out ALL the best Children's Catechism resources HERE.